Cheapest scooty in India - Today we will talk about top 7 cheapest scooty in India 2019 with price, mileage, specs. Hi, friends my name is Yogesh. You are on www.wheelsbest.com and today we will talk about the Top 7 Cheapest scooty in India. So let's start our today's topic without wasting any more time. 1. 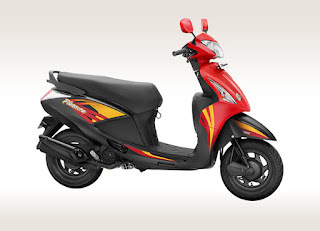 TVs scooty pep-It comes with a single cylinder, 4-stroke engine, The engine displacement is 87.8 cc. Which gives the max power of 5 bhp @ 6,500 rpm and the max torque of 5.8 Nm @ 4,000 rpm. It has 51 mm bore and 43 mm stroke. It hs 1 cylinder and the fulling system is carbureted. This scooty has digital idi ignition, supported fuel type is petrol. It has a belt drive as drive type. It gives the mileage of 65 km per litter. The top speed is of around 70 km per hour. It has drum brakes in both of its tyres. It has tubular double cradle step-through chassis, Hydraulic telescopic fork as front suspension. The rear suspension is mono coil spring suspension. Wheel size is 10 inch and the tyres are tubeless too. 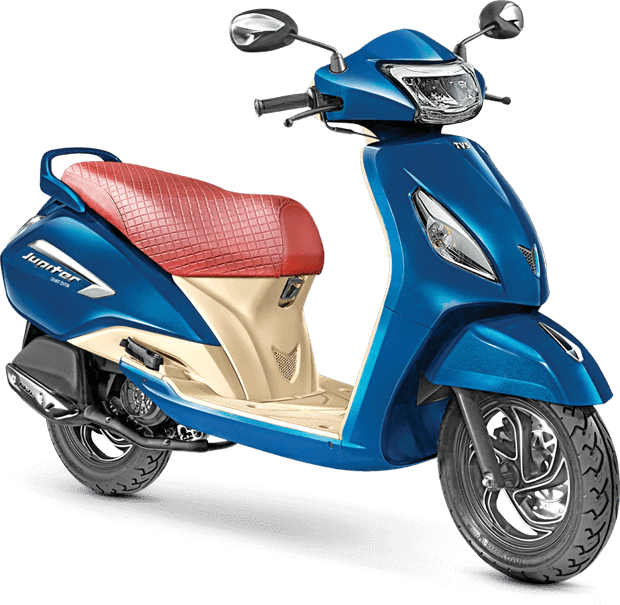 Price of this scooty starts from Rs 40 thousand. First Cheapest scooty in India. 2. 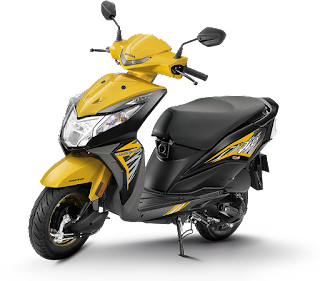 Hero pleasure- It has 109.19cc single cylinder, air cooled, 4-stroke engine. Which produces the max power of 8.11 bhp @7,000 rpm and the max torque of 8.91 nm @5,500 rpm. It comes with single cylinder and 2-valves per cylinder, fuel delivery system is carburettor. This has the fuel tank capacity of 5.3 litres and can give the mileage of 55 km per litre and can reach the top speed of 90 km per hour. This get's drum brakes in both the tyres. It gets bottom link suspension in front and hydraulic mono shock suspension in the rear. This get's 90/100-10 section tyres in front and in rear both. kerb weight of it is 103 kg and the ground clearance is of 158 mm. You can buy its std variant in 46,900 ex-showroom Chandigarh. Second Cheapest scooty in India. 3. 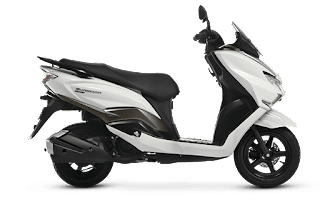 Honda Activa- It gets single cylinder SI type engine, Who's displacement is 109.19cc. Which delivers the max power of 7.96 bhp@ 7500 rpm and the max torque of 9 nm @5,500 rpm. It gets a single cylinder, 2-VALVES (PER CYLINDER). Drive type is belt drive. Fuel delivery system is the carburettor, supported fuel type is petrol. Third Cheapest scooty in India. It gets Drum brake as front brake and Drums brake as the rear brake. 4. Honda Dio- It has 109.19cc single cylinder, air cooled, 4-stroke engine. Which produces the max power of 8.11 bhp @7,000 rpm and the max torque of 8.91 nm @5,500 rpm. It comes with single cylinder and 2-valves per cylinder, fuel delivery system is carburettor. This has the fuel tank capacity of 5.3 litres and can give the mileage of 55 km per litre and can reach the top speed of 90 km per hour. This get's drum brakes in both the tyres. It gets bottom link suspension in front and hydraulic mono shock suspension in the rear. This get's 90/100-10 section tyres in front and in rear both. kerb weight of it is 103 kg and the ground clearance is of 158 mm. You can buy its std variant in 51,854 ex-showroom Chandigarh. Fourth Cheapest scooty in India. 124.9cc. Which delivers the max power of 8.63bhp@ 6500 rpm and the max torque of 10.54 nm @5,000 rpm. It gets a single cylinder, 4-stroke, 2-VALVES (PER CYLINDER). Drive type is belt drive. Fuel delivery system is the carburettor, supported fuel type is petrol. 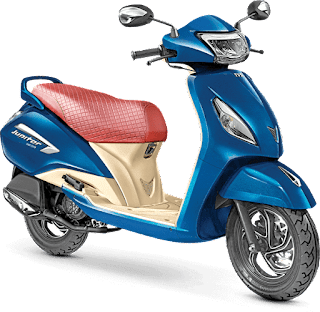 Fifth Cheapest scooty in India. 6. Tvs Ntorque- It gets a single cylinder, 4-stroke OHC type engine, Who's displacement is 124.79cc. Which delivers the max power of 9.4bhp@ 7,500 rpm and the max torque of 10.5 nm @5,500 rpm. It gets a single cylinder, 4-stroke, 3-valves (per cylinder). Drie type is belt drive. Fuel delivery system is the carburettor, supported fuel type is petrol. Sixth Cheapest scooty in India. mileage of 54 km per litter on the highway and 47 km per litter in the city. suspension and gas-filled hydraulic type coil spring shock absorber as the rear suspension. 7. 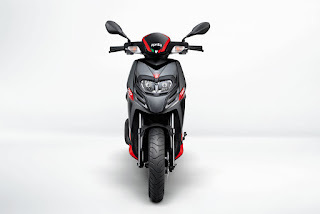 Tvs jupiter- It gets a single cylinder, 4-stroke OHC type engine, Who's displacement is 109.7cc. Which delivers the max power of 7.9bhp@ 7,500 rpm and the max torque of 8.4 nm @5,500 rpm. It gets a single cylinder, 4-stroke Drive type is belt drive. Fuel delivery system is the carburettor, supported fuel type is petrol. 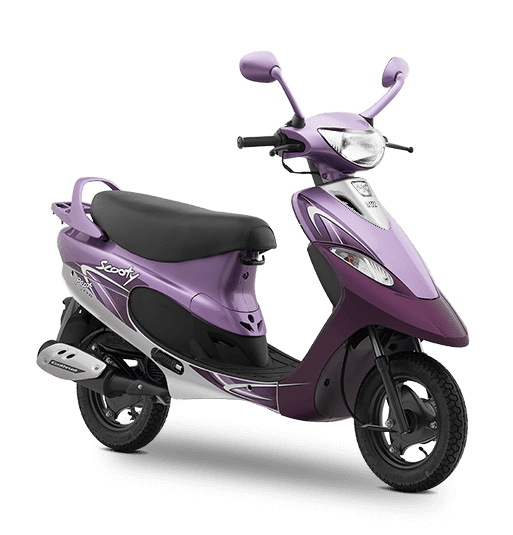 Seventh Cheapest scooty in India. size is 12 inch, tyre type are tubeless. kawasaki ninja zx10r- Price of kawasaki ninja zx10r in India is Rs 12.80 lakh. Kawasaki ninja zx10r comes with unbelievable power at this price tag. Hi, gentlemen, my name is Yogesh you are www.wheelsbest.com. 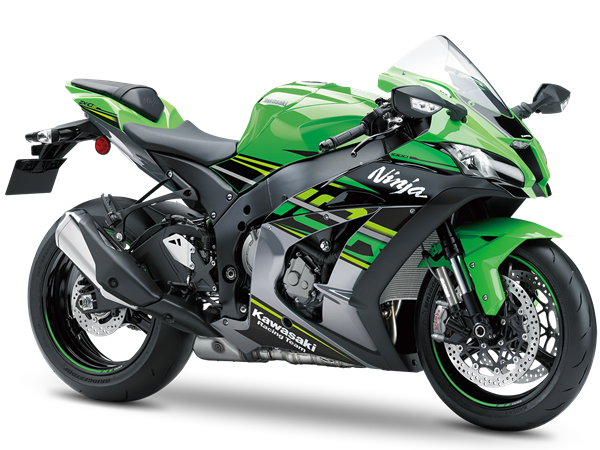 Today we will talk about kawasaki ninja zx10r. I will show you it's specs, features, price and mileage. So without wasting any more time let's get started. Specs- It gets in-line four,4-stroke, 16-valves DOHC type engine. Who's displacement is 998cc. Which can produce the max power of 200 bhp @13,000 rpm and the max torque of 113.5 nm @11,500 rpm. It has 76 mm bore and 55 mm stroke. It as 4-cylinders and 4-valves per cylinder (16-valves).Drive type is chain drive fuel delivery system is fuel injection. Supported fuel type is petrol and ignition is digital ignition. Transmission -It gets a 6-speed manual gearbox. Brakes - It gets the disc brakes in both the tyres. It reaches the top speed of 300 km per hour and can give the mileage of around 13 km per litter. It gets twin spar, cast aluminium type chassis, 43 mm inverted balance free front fork with an external compression chamber, compression and rebound damping and spring preload adjustability and top-out springs as front suspension and horizontal backlink with BFRC LITE CHARGED shock, Piggyback reservoir, Compression and rebound damping and spring preload adjustable and top out spring as rear suspension. It gets 120/70-ZR 17 section front tyres and 190/55-ZR 17 section rear tyres. Wheel size is 17 inch. Tyre type are tubeless and wheels type are alloys. Length*width*height are 2090*745*1145. Wheelbase is 1440 mm. Ground clearance is 145 mm. Seat height is 835mm. Fuel capacity is of 17 litters and the kerb weight is of 206 kg. So, friends, Kawasaki z900 is the new upgraded version of Kawasaki z800. 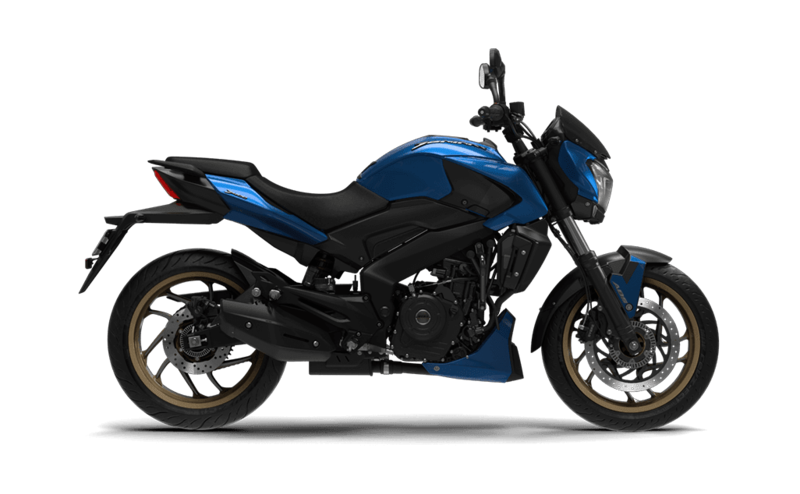 It has a 39 mm lower seat height as compared to z800. Which will be good enough for short height peoples. Which will also lead to having less pressure on your wrist which can make your ride a lot more comfortable. It is smoother than z800. 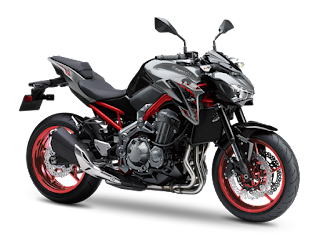 But I felt it that there were few things which were good enough in Kawasaki z800. I will tell you those things at last. 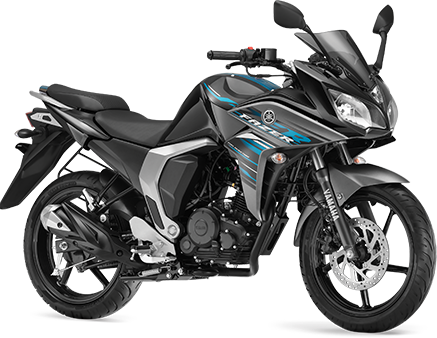 It has 948cc In-line four, 4-stroke,16 valves, DOHC engine. Which produces the max power of 125 bhp @ 9,500 rpm and the max torque of 98.6 NM @7,700 rpm. It gets 4-cylinders and 4-valves per cylinder. It has fuel injection as fuel delivery system and has digital ignition system. It has a 17-litter fuel tank and can give the mileage of 16 km per litre in city and 22 km per litre on highways. It's claimed top speed is of 194 km per hour but actually, in real life, it can touch 240 km per hour very easily. It reaches 0-60 in 2.29 seconds and 0-100 in 3.70 seconds. It has a 6-speed gearbox. It has disc brakes in both the tyres. It gets Trellis, high-tensile steel type chassis with 41 mm inverted fork with rebound damping and spring preload adjustability / 120mm as front suspension and horizontal back-link with rebound damping and spring preload adjustability / 140mm as rear suspension. It gets 120/70-ZR17 section front tyres and 180/55-ZR17 section rear tyres. wheel size is 17 inch and tyres are tubeless. Now it's features it comes with dual channel ABS, digital speedometer, digital tachometer, digital trip meter digital fuel indicator and digital clock. It has the ground clearance of 130 mm and it's kerb weight is of 210 kg. You can get this bike in 7,68,000 Rs ex-showroom Chandigarh and you can get this bike on road at 8,25,300 Rs on-road Chandigarh. So thank you guys for reading this post hope you guys like it and if you like it please subscribe my website for latest updates. 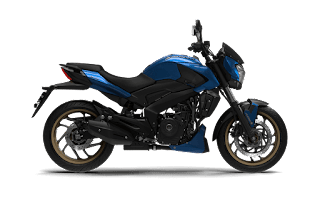 Best bike in India under 2 lakh- Best bike in India under 2 lakh are KTM duke 250, KTM RC 200, Ktm duke duke 200, Bajaj dominar 400, Bajaj pulsar 200RS, Bajaj pulsar 200NS, Yamaha R 15 v3. Hi, gentlemen, my name is Yogesh, You are on www.wheelsbest.com. Today we will talk about the top 8 Best bike in India under 2 lakh. So let's start our topic without wasting any more time. 1. 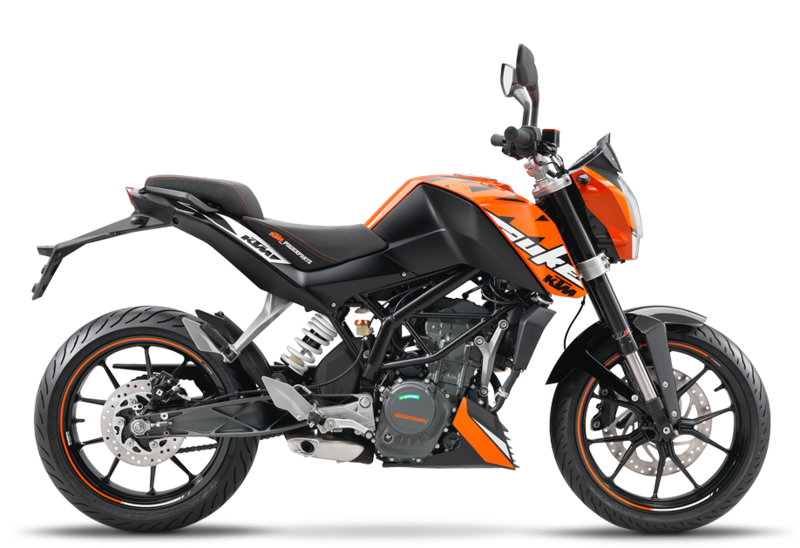 KTM duke 250- This bike is the best looking bike in this category according to me only. It has a very appealing look in this category. It gets a single cylinder, 4 strokes, 4-valve DOHC type engine. Who's displacement is 248cc. Which can produce the max power of 29.91 bhp @9,000 rpm and the max torque of 24 nm @ 7,500 rpm. It has 72 mm bore and 61.1 mm stroke. This bike comes with a single cylinder and 4- valves per cylinder. Drive type is chain drive, Fuel delivery system is fuel injection and the supported fuel type is petrol. First Best bike in India under 2 lakh. It has 6-speed manual gearbox. It reaches 0-60 in 3.51 sec and 0-100 in 8.49 sec. And can reach the top speed of 135 km per hour. This bike can give the mileage of 41 km per litter. It gets steel split Trellis frame, powder coated type chassis, WP upside-down 43mm as front suspension and WP monoshock as rear suspension. It gets 110/70-17 section front tyre and 150/60-17 section rear tyre. Wheel size is 17 inches for both front and rear. Tyres are tubeless and wheel type are alloy wheels. Wheels base is 1357mm, Ground clearance is 185mm, Seat height is 830 mm. Fuel capacity is of 13.4 litters and kerb weight is of 153 kg. It gets a single cylinder, 4 strokes, 4-valve DOHC type engine. Who's displacement is 200 cc. Which can produce the max power of 25.83 bhp @10,000 rpm and the max torque of 19.2 nm @ 8,000 rpm. It has 72 mm bore and 49 mm stroke. This bike comes with a single cylinder and 4- valves per cylinder. Drive type is chain drive, Fuel delivery system is fuel injection and the supported fuel type is petrol. Ignition is Contactless, controlled, Fully electronic ignition system with digital ignition timing adjustment. Second Best bike in India under 2 lakh. It can reach the top speed of 140 km per hour. This bike can give the mileage of 30 km per litter. and WP monoshock as rear suspension. Length*width*height are 1978*688*1098. Wheels base is 1340mm, Ground clearance is 178.5mm, Seat height is 820 mm. Fuel capacity is of 10 litters and kerb weight is of 154 kg. It gets a single cylinder, 4 strokes, 4-valve DOHC type engine. Who's displacement is 199.5 cc. It can reach the top speed of 135 km per hour. This bike can give the mileage of 35 km per litter. It gets steel Trellis frame, powder coated type chassis, WP upside-down 43mm as front suspension and WP monoshock as rear suspension. Length*width*height are 2050*730*810. Wheels base is 1367mm, Ground clearance is 170mm, Seat height is 810 mm. Fuel capacity is of 11 litters and kerb weight is of 148 kg. 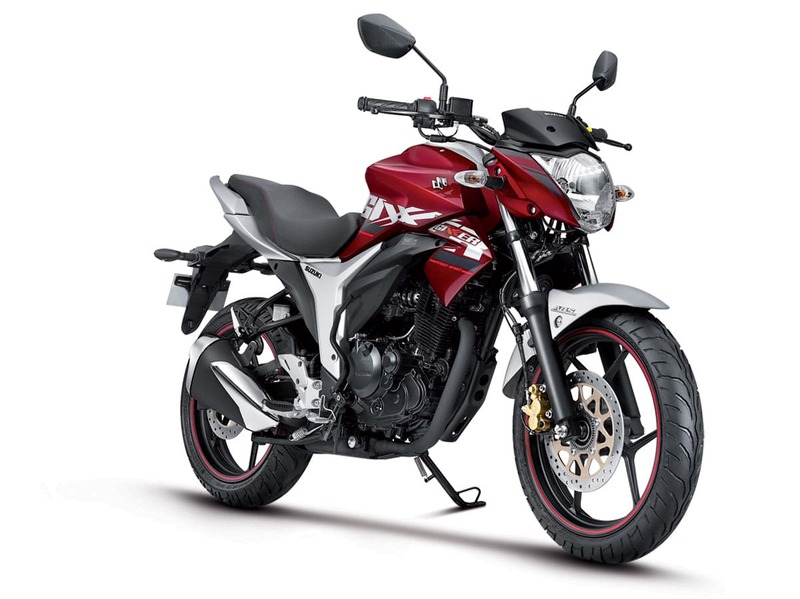 This bike comes with 373.3 ccs single cylinder, 4-valve, triple spark DTSi engine. Which produces the max power of 35 bhp @8,000 rpm and the max torque of 35 nm @6,500 rpm. It has a single cylinder and 4-valves per cylinder and the fuel delivery system is fuel injection. 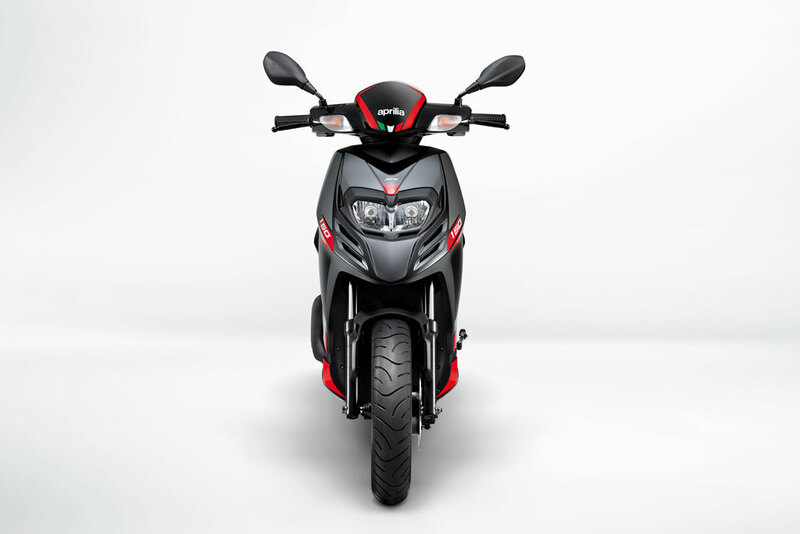 It has a 13 littre fuel tank and the bike gives the mileage of 28 km per litter. The company claims it top speed up to 150 km per hour but trust me, friend, this bike goes up to 162 km per hour very easily. It can reach 0-60 in 2.8 seconds and 0-100 in 6.4 seconds. It has a 6-speed gearbox. It gets disc brakes in both the tyres. It gets telescopic 43 mm forks as front suspension and multi-step adjustable mono shock as rear suspension. It gets 110/70-17 as front section tyre and 150/60-17 as rear section tyres which are tubeless too. It's weight is of 182 kg and ground clearance is of 157 mm. This bike is available with ABS as an option. Fourth Best bike in India under 2 lakh. has 199.5 cc motor which is capable of producing the max power 24.5 BHP @9,750 rpm and the max torque of 18.6 nm @ 8,000 rpm. It has fuel injection as a fuel delivery system and inductive dc ignition system. Claimed top speed of this bike is 145 km per hour but according to my ride experience, it can reach easily up to 154 km per hour. It can reach 0-60 in 3.3 seconds and 0-100 in 10.14 seconds. It has a liquid cooled as a cooling system and 6-speed gearbox. Its fuel tank capacity is 13 litres and can give the mileage of 35 km per litters. It has disc brakes in both the tyres. Front disc size is of 300 mm and rear disc size is 230 mm. Wheel size is 17 inch with alloys and tubeless tyres. The front suspension is telescopic front fork suspension and rear suspension is Nitrox Mono shock absorber. The weight of this bike is 165 kg and ground clearance is 157 mm. This bike also comes with ABS as an option.Fifth Best bike in India under 2 lakh. 6. 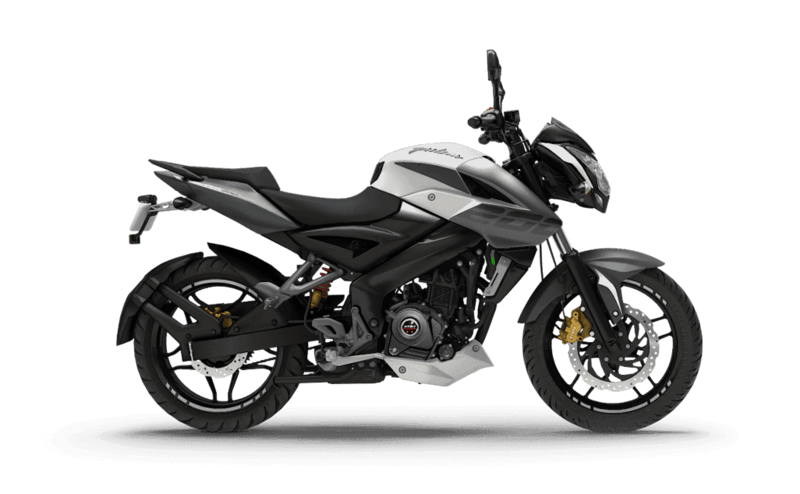 Bajaj pulsar 200 ns- It comes with a single cylinder, 4-stroke, 4-valve SOHC, triple spark dtsi engine whose displacement is 199.5cc. Which delivers the max power of 23.5 bhp @9,500 rpm and the max torque of 18.3 nm @8,000 rpm. It has 72 mm bore and 49 mm stroke. This bike has a single cylinder and 4-valves per cylinder. Drive type is chain drive and fuel delivery system is a fuel injection. Supported fuel type is petrol and the ignition is Independent spark control through ECU ignition. It has 6-speed manual gearbox. Both of the brakes are disc brakes. Sixth Best bike in India under 2 lakh. It reaches the top speed of 135 km per hour, reaches 0-60 in 4 sec and reaches 0-100 in 12.54 seconds. And can give the mileage of 36 km per litter. It gets perimeter frame type chassis, telescopic forks with anti-friction bush as the front suspension and nitrox mono shock absorber with canister as the rear suspension. It gets 100/80-17 section front tyres, 130/70-17 section rear tyres. Wheels size is of 17 inches. Tyres type are tubeless and wheels type are alloys. Its length*width*height*are 2017*804*1075, wheelbase is of 1363 mm. 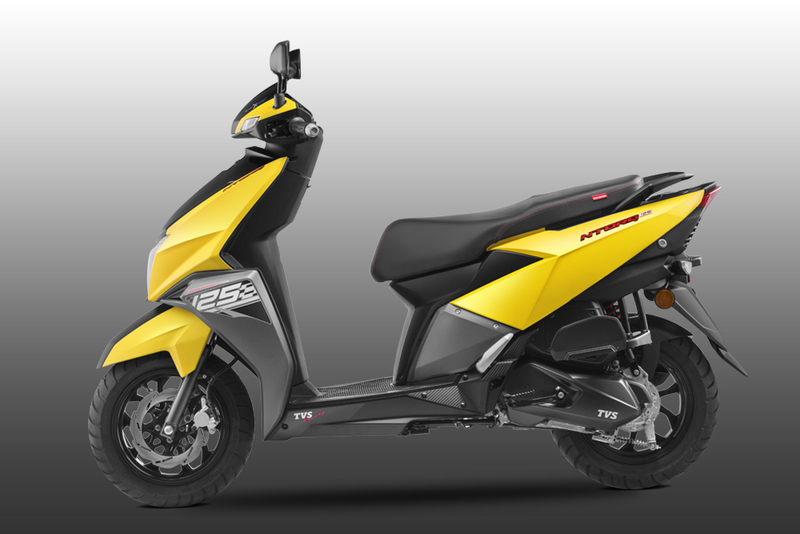 Ground clearance is 169mm, seat height is 805mm, Total fuel capacity is of 12 litters and kerb weight is of 152 kg. displacement is 155cc. Which can produce the max power of 19.3 bhp @10,000 rpm and the max torque of 15 nm @ 8,500 rpm. It has 58 mm bore and 58.7 mm stroke. This bike comes with a single cylinder and 4- valves per cylinder. Drive type is chain drive, Fuel delivery system is fuel injection and the supported fuel type is petrol. Ignition is TCI (transistor controlled ignition). Seventh Best bike in India under 2 lakh. It reaches 0-60 in 4.3 sec and 0-100 in 10.2 sec. And can reach the top speed of 136 km per hour. This bike can give the mileage of 47 km per litter. 197.75cc. Which delivers the max power of 20.05 bhp @8,500 rpm and the max torque of 18.1 nm @7,000 rpm. It has 66 mm bore and 57.8 mm stroke. This bike has a single cylinder and 4-valves per cylinder. Drive type is chain drive and fuel delivery system is a carburettor. Supported fuel type is petrol and the ignition is IDI - duel mode digital ignition. It has 5-speed manual gearbox. Both of the brakes are disc brakes. 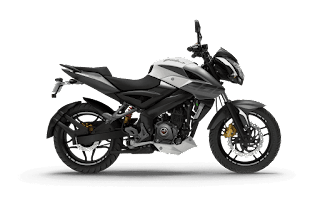 Eighth Best bike in India under 2 lakh. best 150cc bike for long drive- Best 150cc bike for long drive are Yamaha R15 V3, Yamaha Fazer- Fi version 2.0, Yamaha Fzs Fi V2.o, Etc. In this post, we will talk about 6 best 150cc bike for long drive. So hi gentlemen my name is Yogesh, You are on best 150cc bike for long drive by www.wheelsbest.com. So let's start today's topic without wasting any more time. 1. 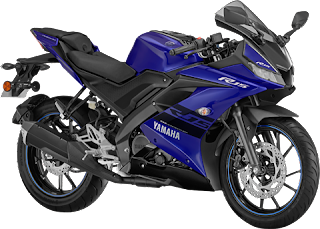 Yamaha R15 V3 - This is the best 150 cc bike available in the market at this period of time. This bike produces the highest power and the highest torque in 150cc segment bikes. Now let's directly check it's specs. Specs- It gets a single cylinder, 4 strokes, 4-valve SOHC type engine. Who's displacement is 155cc. Which can produce the max power of 19.3 bhp @10,000 rpm and the max torque of 15 nm @ 8,500 rpm. It has 58 mm bore and 58.7 mm stroke. This bike comes with a single cylinder and 4- valves per cylinder. Drive type is chain drive, Fuel delivery system is fuel injection and the supported fuel type is petrol. Ignition is TCI (transistor controlled ignition). First bike in best 150cc bike for long drive. Specs- It gets a single cylinder, 4 strokes, 2-valve SOHC type engine. Who's displacement is 149cc. Which can produce the max power of 13.2 bhp @8,000 rpm and the max torque of 12.8 nm @6,000 rpm. It has 57.3 mm bore and 57.9 mm stroke. This bike comes with a single cylinder and 2- valves per cylinder. Drive type is chain drive, Fuel delivery system is fuel injection and the supported fuel type is petrol. Ignition is TCI (transistor controlled ignition). Second bike in best 150cc bike for long drive. It has 5-speed manual gearbox. It gets disc brake in front and drum brake rear. It reaches 0-100 in 19.8 sec. And can reach the top speed of 115 km per hour. This bike can give the mileage of 45 km per litter. Length*width*height are 2073*760*1115. Wheels base is 1330 mm, Ground clearance is 160mm, Seat height is 790 mm. Fuel capacity is of 12 litters and kerb weight is of 137 kg. Specs- It gets a single cylinder, 4 strokes, 2-valve SOHC type engine. Who's displacement is 149cc. Which can produce the max power of 13.2 bhp @8,000 rpm and the max torque of 12.8 nm @6,000 rpm. It has 57.3 mm bore and 57.9 mm stroke. This bike comes with a single cylinder and 2- valves per cylinder. Drive type is chain drive, Fuel delivery system is fuel injection and the supported fuel type is petrol. Ignition is TCI (transistor controlled ignition). Third bike in best 150cc bike for long drive. It can reach the top speed of 110 km per hour. This bike can give the mileage of 53 km per litter. Length*width*height are 2073*770*1050. Wheels base is 1330 mm, Ground clearance is 160mm, Seat height is 790 mm. Fuel capacity is of 12 litters and kerb weight is of 132 kg. 4. 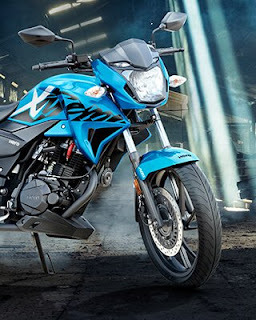 Suzuki gixxer- It gets a single cylinder, 4 strokes, 2-valve SOHC type engine. Who's displacement is 154.9 cc. Which can produce the max power of 14.8 bhp @8,000 rpm and the max torque of 14 nm @6,000 rpm. It has 56 mm bore and 62.9 mm stroke. This bike comes with a single cylinder and 2- valves per cylinder. Drive type is chain drive, Fuel delivery system is carburetor and the supported fuel type is petrol. Ignition is CDI digital ignition. Fourth bike in best 150cc bike for long drive. It can reach the top speed of 115 km per hour. This bike can give the mileage of 48 km per litter. It gets Single downtube type chassis, Telescopic fork as front suspension and swing arm, Mono suspension as rear suspension. Length*width*height are 2050*785*1030. Wheels base is 1330 mm, Ground clearance is 160mm, Seat height is 780 mm. Fuel capacity is of 12 litters and kerb weight is of 135 kg. 5. Honda cb hornet- It gets a single cylinder, 4 strokes, 2-valve SI type engine. Who's displacement is 162.71 cc. Which can produce the max power of 15.09 bhp @8,500 rpm and the max torque of 14.5 nm @6,500 rpm. It has 57.30 mm bore and 63.09 mm stroke. This bike comes with a single cylinder and 2- valves per cylinder. Drive type is chain drive, Fuel delivery system is carburetor and the supported fuel type is petrol. Ignition is CDI digital ignition. Fifth bike in best 150cc bike for long drive. It can reach the top speed of 115 km per hour. This bike can give the mileage of 42 km per litter. It gets diamond type chassis, Telescopic fork as front suspension and Monoshock suspension as rear suspension. Length*width*height are 2041*783*1091. Wheels base is 1346 mm, Ground clearance is 164mm, Seat height is 790 mm. Fuel capacity is of 12 litters and kerb weight is of 138 kg. 6. 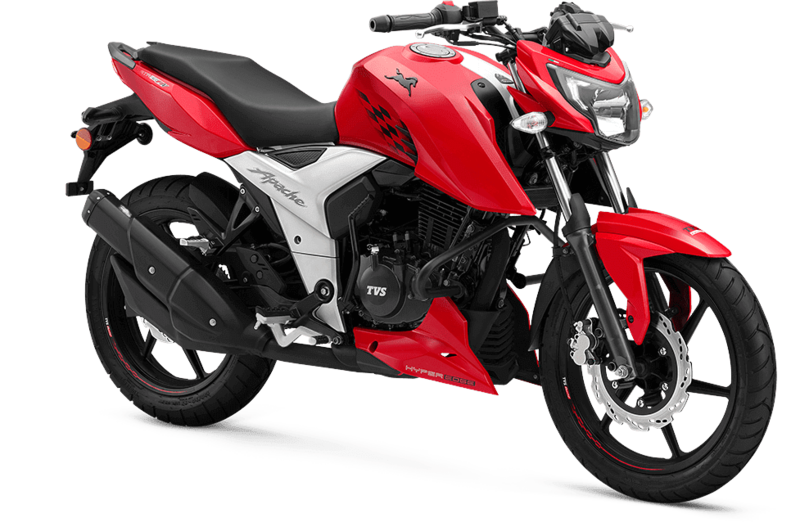 Tvs apache rtr 160 4v ( fuel injected variant) - It gets a single cylinder, 4 strokes, OHC, SI type engine. Who's displacement is 159.7 cc. Which can produce the max power of 16.8 bhp @8,000 rpm and the max torque of 14.8 nm @6,500 rpm. It has 62 mm bore and 52.9 mm stroke. This bike comes with a single cylinder and 4- valves per cylinder. Drive type is chain drive, Fuel delivery system is fuel injection and the supported fuel type is petrol. Ignition is Mapped ignition system. 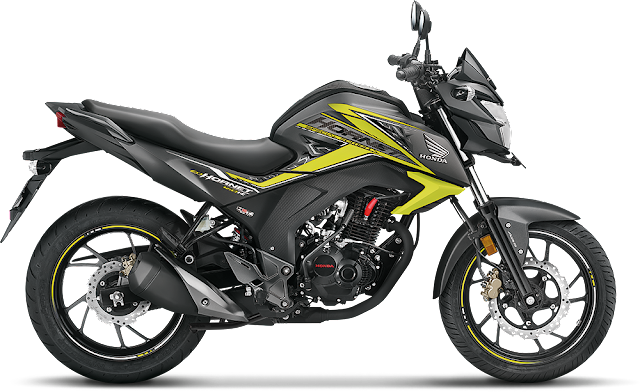 Sixth bike in best 150cc bike for long drive. It gets disc brake in front and rear both. It can reach the top speed of 120 km per hour. This bike can give the mileage of 60 km per litter. It gets Double craddle split synchro STIFF type chassis, Telescopic fork as front suspension and Mono shock suspension as rear suspension. It gets 90/90-17 section front tyre and 130/70-17 section rear tyre. Wheel size is 17 inches for both front and rear. Tyres are tubeless and wheel type are alloy wheels. Length*width*height are 2050*790*1050. Wheels base is 1357 mm, Ground clearance is 180mm, Seat height is 800 mm. Fuel capacity is of 12 litters and kerb weight is of 147 kg. 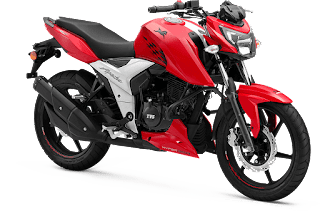 best sports bike in India under 1 lakh- I will show you 8 best sports bike in India under 1 lakh. So read the full article to know everything about them. There are many bikes in India under 1 lakh but I will show you 8 best sports bike in India under 1 lakh. So hi friends my name is Yogesh, You are on www.wheelsbest.com and let's start our topic without wasting any more time. It comes with a single cylinder, 4-stroke, SI engine whose displacement is 197.75cc. Which delivers the max power of 20.05 bhp @8,500 rpm and the max torque of 18.1 nm @7,000 rpm. It has 66 mm bore and 57.8 mm stroke. This bike has a single cylinder and 4-valves per cylinder. Drive type is chain drive and fuel delivery system is a carburettor. Supported fuel type is petrol and the ignition is IDI - duel mode digital ignition. It has 5-speed manual gearbox. Both of the brakes are disc brakes. First best sports bike in India under 1 lakh. 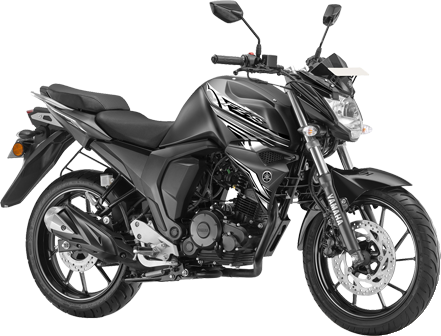 It comes with a single cylinder, 4-stroke, 4-valve SOHC, triple spark dtsi engine whose displacement is 199.5cc. Which delivers the max power of 23.5 bhp @9,500 rpm and the max torque of 18.3 nm @8,000 rpm. It has 72 mm bore and 49 mm stroke. This bike has a single cylinder and 4-valves per cylinder. Drive type is chain drive and fuel delivery system is a carburettor. Supported fuel type is petrol and the ignition is Independent spark control through ECU ignition. It has 6-speed manual gearbox. Both of the brakes are disc brakes. Second best sports bike in India under 1 lakh. 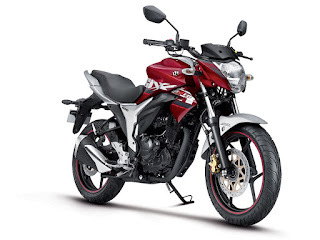 It comes with a single cylinder, 4-stroke, 2-valve, twin spark dtsi engine whose displacement is 220cc. Which delivers the max power of 20.93 bhp @8,500 rpm and the max torque of 18.55 nm @7,000 rpm. It has 67 mm bore and 62.4 mm stroke. This bike has a single cylinder and 2-valves per cylinder. Drive type is chain drive and fuel delivery system is a carburettor. Supported fuel type is petrol and the ignition is digital twin spark ignition. It has 5-speed manual gearbox. Both of the brakes are disc brakes. Third best sports bike in India under 1 lakh. It reaches the top speed of 136 km per hour, reaches 0-60 in 3.9 sec and reaches 0-100 in 11.31 seconds. And can give the mileage of 40 km per litter. It gets double cradle down type chassis, telescopic forks with anti-friction bush as the front suspension and 5-way adjustable Nitrox shock absorber as the rear suspension. Its length*width*height*are 2035*750*1165, wheelbase is of 1350 mm. Ground clearance is 165mm, seat height is 795mm, Total fuel capacity is of 15 litters and kerb weight is of 155 kg. It has 199.6 ccs air-cooled, single cylinder, 4-stroke, 2-valve OHC engine. Which produces the max power of 18.35 bhp @ 8,000 rpm and the max torque of 17.1 nm @ 6,500 rpm. It has a single cylinder and 4 valves per cylinder. This has Carburetor as fuel delivery system. Fuel tank capacity of 12.4 liters and can give the mileage of 39 km per liter and it's claimed top speed is 114 km per hour but it can reach 125 km per hour very easily. It has the 5-speed gearbox. Fourth best sports bike in India under 1 lakh. This bike comes in three variant one with the carburettor and rear drum brake. Second with the carburettor and both disc brakes and third with fuel injection and both disc brakes. In this post, we will talk about carburettor and dual disc version. 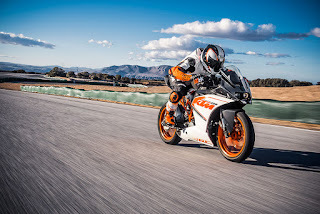 So this bike comes with 159.7cc single cylinder, 4-stroke OHC, SI engine which can produce the max power of 16.5 bhp @ 8000 rpm and the max torque of 14.8 NM @ 6500 rpm, it has a single cylinder and 4 valves per cylinder. The fuel supply system is carburettor and ignition is TCI- transistor controlled ignition. Its fuel tank capacity is 12 litres claimed mileage of this bike is 60 km per litre. But when I tested it it was giving the mileage of 54 km per litre. Fifth best sports bike in India under 1 lakh. It can reach 0-60 in 4.73 seconds and 0-100 in 15.7 seconds. This bike has 5-speed gearbox. It has telescopic forks as front suspension and monoshock as rear suspension. Size of the front tyre is 90/90-17 and size of rear tyre is 130/70-17. It has tubeless tyres, wheel size is 17 inch. Its weight is 145 kg and ground clearance is 180 mm. It comes with a single cylinder,4-stroke, 2-valve SOHC engine. Whos displacement is 149 cc. Which can produce the max power of 13.2 bhp @8,000 rpm and the max torque of 12.8 nm @6,000 rpm. It has 57.3 mm bore and 57.9mm stroke. This bike comes with the cylinder and 2-valves per cylinder. Drive type is chain drive, the fuel delivery system is fuel injection. Supported fuel type is petrol. It has TCI ignition. This bike has 5-speed manual gearbox. Company claims it's mileage up to - 60 km per liter but in real life, it can give the mileage of 54 km per liter in the city. It reaches the top speed of 109 km per hour. It has a disc brake in both the tyres. This bike has a diamond type chassis. The front suspension is telescopic and in rear, it has a mono shock. Wheels size is 17 inch for rear and front both. Tyre size is 100/80-17 for front and 140/60-17 for the rear tyre. Tyre are tubeless and are by MRF brand. Wheels type are alloys. It ground clearance is 160 mm, Wheels base is 1330 mm.Length*width*height* are 2060*770*1050. Seat height is 790 mm. Total fuel tank capacity is of 12 litres and the kerb weight is 133 kg. It has halogen headlight, LED tail light and battery is 12-4AH. 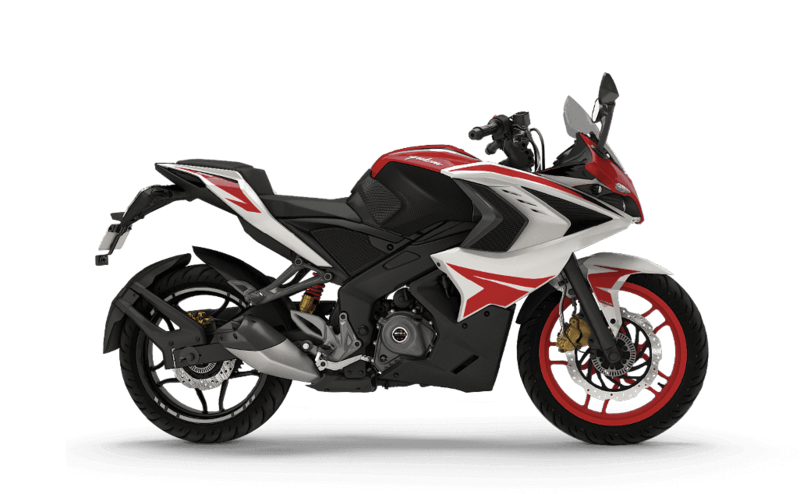 Sixth best sports bike in India under 1 lakh. 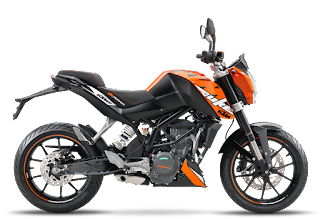 This bike comes with 160.3 ccs single cylinder engine which produces the max power of 15.5bhp@8500 rpm and the max torque of 14.6 nm @6500 rpm. It has one cylinder and 4 valves per cylinder. It has digital twin spark ignition. Its fuel tank is of 12 litres. It can give the mileage of 50 km per litre. This bike can reach a top speed of 120 km per hour. It can reach 0-60 in 5.30 seconds and 0-100 in 16.5 seconds. Which has 5-speed gearbox. This bike gets disc brakes in both the tyres. It gets telescopic with anti-friction bush front suspension and mono shock absorber with the canister as rear suspension. It has 80/100-17 section tyres in front and 110/80-17 as a rear tyre. Wheel size is of 17 inches with tubeless tyres. Its weight is 142 kg and ground clearance is 176 mm. 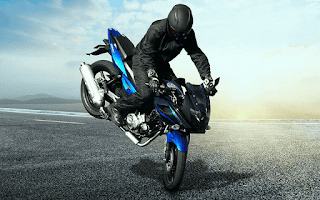 Seventh best sports bike in India under 1 lakh. This bike comes with 154.9 ccs single cylinder, 4-stroke, 2-valve SOHC engine which delivers the max power of 14.8 bhp @8,000 rpm and the max torque of 14 NM @ 6,000 rpm. It has a single cylinder, 2 valves per cylinder, carburettor as fuel delivery system and CDI digital ignition. Its fuel tank capacity is of 12 litres and the company claims the mileage of 60 km per litre but the bike can give the mileage of 55 km per litre. Claimed top speed of this bike is 115 km per hour but in reality, this bike reaches up to 120 km per litre. It has a 5-speed gearbox, It has a disc brake in both the tyres. It has telescopic front suspension and swing arm mono suspension in the rear. Ground clearance of this bike is 160 mm and the kerb weight of this bike is 135 kg. It gets 100/80-17 section front tyres and 140/60-R17 section rear tyres which are tubeless and wheel size is 17 inch. The best thing about this bike is it's also come with an ABS as an option. The price of this bike starts from rupees 79 thousand and goes up to 88 thousand rupees ex-showroom Chandigarh. 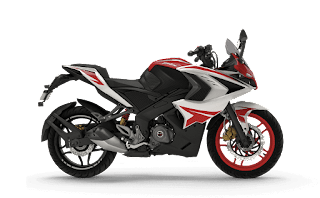 Eighth best sports bike in India under 1 lakh.